This year’s ‘October’ London based MCM Comic-Con might be done and over but the surprises and announcements announced by Manga Entertainment UK and MVM Entertainment UK have a long way to go before we physically have them in our hands, and with that done its time for the Anime Licensing Round-Up. 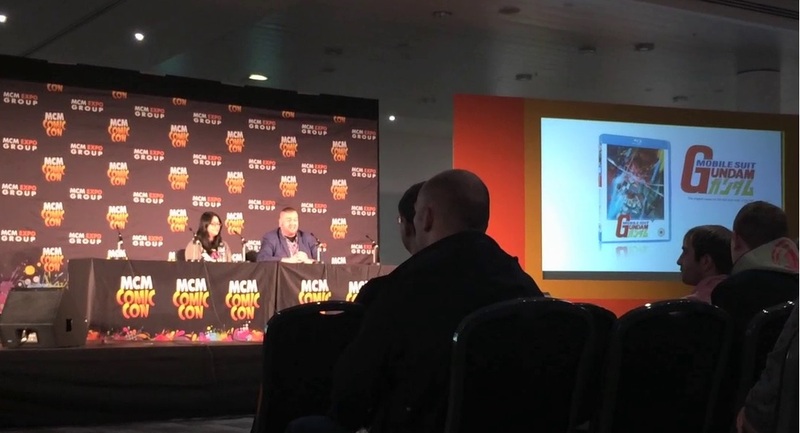 Officially there wasn’t an “industry panel” however Manga UK still managed to acquire the stage and announce several new titles, with MVM UK relying on Twitter and tweeting several new titles – all of which will be released within the next year. Dragon Ball GT – The entire series will be released as two DVD boxsets, both of which will mimic the green boxsets released in america several years ago. The first set is expected to arrive in January, with the second set to arrive in March – it’s currently unclear if the second set will include “A Hero’s Legacy” Movie which was included in the American DVD Set. Naruto Shippuden: The Movie – Lost Tower – The fourth Naruto spin-off movie will be released on DVD as well as a Blu-ray + DVD Combo Pack during February 2014. Psycho-Pass – The Production IG produced series will be released over two volumes (on both DVD & Blu-ray) sometime early next year. Evangelion 3.33: You Can (Not) Redo – The third film in the Evangelion ‘Rebuild’ trilogy will be released on DVD and Blu-ray during March 2014. Since MVM announced their new titles via Twitter not much information was provided, however it is known that Dusk Maiden, Infinite Stratos and Night Raid will be released in the first quarter of 2014, while the remaining series will be confirmed at a later date. So there we have it, is they any titles that peak your interested and if so which format do you want them to be released on? Either way these are the titles you can expect to see being released during the first and second quarters of 2014.